The benefits of dark chocolate are many. 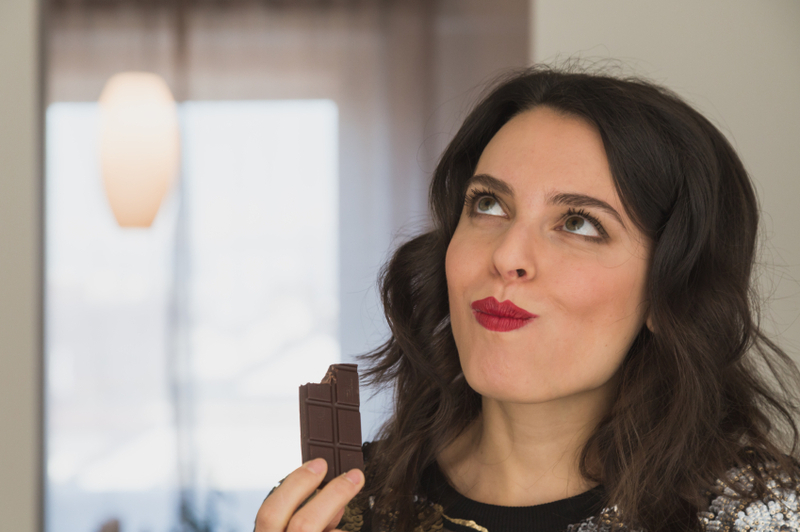 Here are 5 guilt-free reasons to enjoy raw cacao or high quality dark chocolate every day. It's good for your heart and so much more. The scientific name for chocolate is "theobroma cacao," which translates to "food of the gods." Americans consume on average almost 12 pounds of chocolate per person per year, and the week of Valentine's Day generates more one-week candy sales than any other. Retail sales of Valentine's chocolates are estimated at more than $323 million. Chocolate is getting more and more press as a health food rather than junk food candy, but the problem is that it depends on the quality of the chocolate. Some types of chocolate are truly good for the heart in more ways than one, while others are far from being a health food. Recent studies have shown a link between cocoa and cardiovascular benefits, which include reduced risk of blood clots, strokes, and heart attacks. Dark chocolate also has been shown to reduce the LDL or bad cholesterol levels in the blood and raise the levels of HDL or good cholesterol. 2. Packed with vitamins and minerals. Cocoa is a good source of magnesium, sulfur, potassium, copper, calcium, iron, zinc, chromium, vitamin C, and some B vitamins. Sulfur helps detoxify the liver and promotes healthy nails, hair, and skin. Magnesium is important for building bone and also relaxing muscles, which contributes to a feeling of calm and stress relief. 3. Slows down the aging process. Chocolate is so delicious that most people forget it is made from plants! This means it contains many of the same health benefits that vegetables contain. One of the greatest benefits of dark chocolate is the high amount of antioxidants, which are derived from a substance known as flavanoids. Antioxidants are important because they protect the body from free radicals, which can cause damage to our cells, as well as aging. Raw cacao nibs and powder have been found to contain the highest quantity and quality antioxidants of any other food on earth. The second highest ranked food is acai berries and the third is dark chocolate. Raw and dark chocolate rank higher in antioxidants than prunes, pomegranates, strawberries and even blueberries. Chocolate has twice the antioxidants of red wine and three times those found in green tea. Flavanoids also produce nitric oxide which aids the body in lowering blood pressure. In fact, there have been some studies that show that eating as little as three and a half ounces of dark chocolate lowers blood pressure almost as effectively as blood pressure medications. 5. Induces feelings of pleasure. 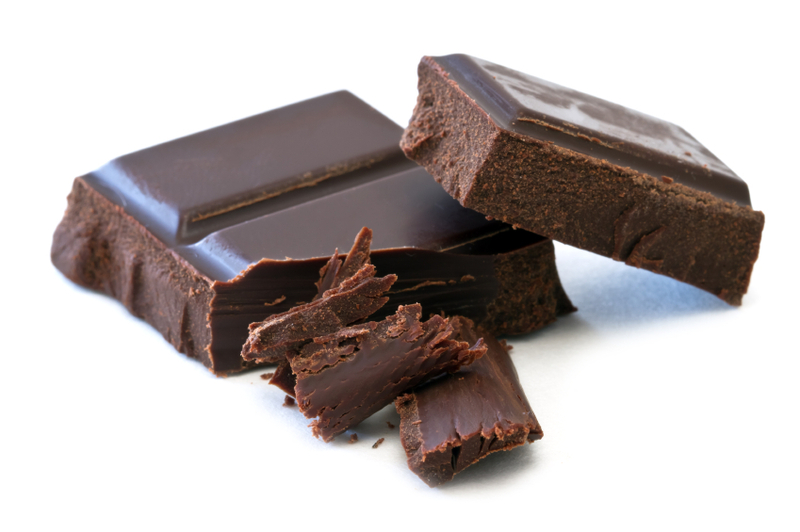 One of the biggest benefits of dark chocolate is its ability to regulate endorphin production. That can induce feelings of pleasure and satisfaction. Cocoa beans also contain serotonin, which acts as an anti-depressant. It also contains a stimulant called theobromine, which boosts energy, as well as a small amount of caffeine, which we all know is a stimulant for the body and the brain. It has also been found to decrease the sensation of pain. Dark chocolate, also called bittersweet or semi-sweet chocolate, contains the health benefits, but milk chocolate and white chocolate do not. In order for chocolate to have positive health benefits, it must contain at least 70% cocoa solids. Unsweetened and dairy free dark chocolate would be the healthiest choice after raw cacao powder or nibs, which are 100% cacao. The least healthy choice is milk chocolate because it contains milk fats, refined sugars, and often hydrogenated ingredients as well, which should always be avoided. 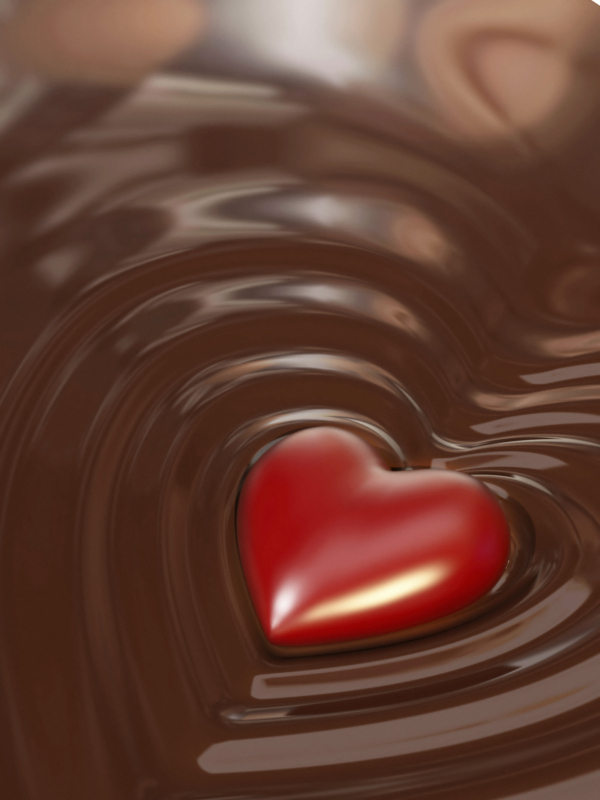 So enjoy raw cacao or high quality dark chocolate every day - not just Valentine's Day. It's good for your heart and so much more. Click here for more menopause foods.